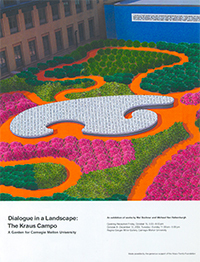 This exhibition highlighted the ongoing Kraus Campo project, created by Bochner and Van Valkenburgh, being constructed on the campus of Carnegie Mellon. 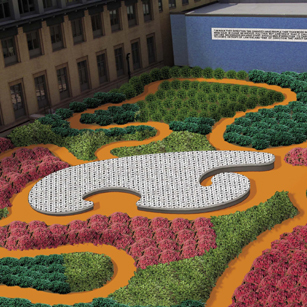 Drawings and models trace the evolution of the design. Past projects by Van Valkenburgh and new work by Bochner were also included.